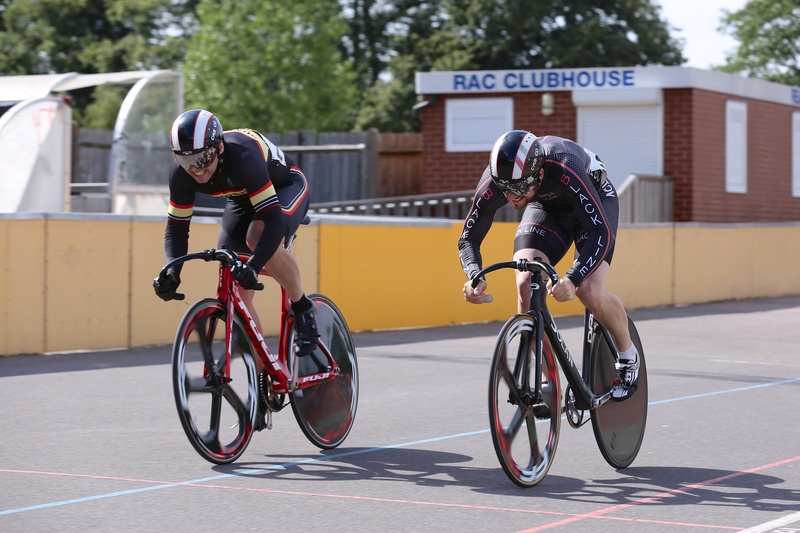 Stephen Bradbury, Ireland's Eamonn Byrne and Janet Birkmyre claimed the feature events at the Reading Grand Prix track meet at Palmer Park which attracted top quality fields for its fifth staging. 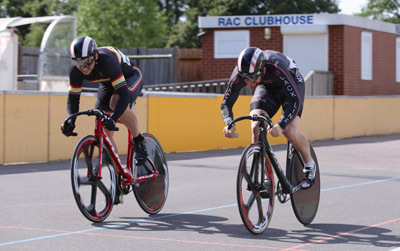 Bradbury took the National Endurance League event in a tight finish from John McClelland and Brendan Drewett, with series leader Alistair Rutherford in fourth. It landed the former Palmer Park Velo rider with a generous prize from race sponsor RaceWare Direct, but it was not his only win. 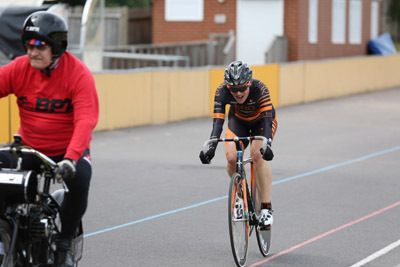 Bradbury also took a competitive Devil and was in a Reading Track League select combination which won the team pursuit. 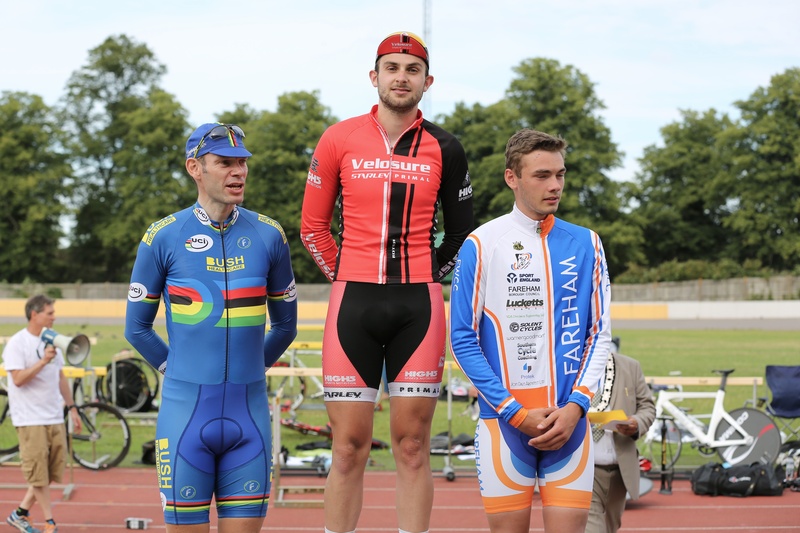 Byrne, coached by last year's winner Pete Mitchell, made his long trip worthwhile by winning the National Sprinters League final from Luke Burton, but was pipped for the double in the Keirin by Jack Payne of Sportscity Velo. The other main feature race saw a superb victory for the evergreen Birkmyre in the women's only derny race over 15km. Cleverly paced by Graham Bristow, she showed all her experience to hold off Ellie Coster with Madeline Moore in third. When Coster, paced by Tony Hibbert, took it up in the closing stages Birkmyre looked in trouble, but she battled back to retake the lead and stay clear. Moore, with Ollie Hitchings, rallied late to finish just behind Coster. There was consolation for Team USN's Coster, who has switched to more endurance based events, when she took the women's only scratch race from Birkmyre. But the Keirin final went to Moore ahead of Coster and birthday girl Niki Kovacs. 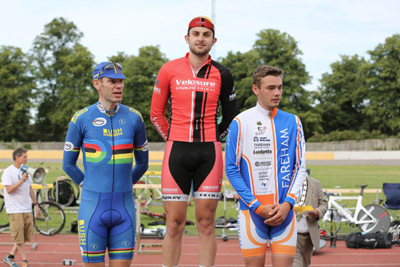 Ollie Moores (Project 51) tuned up for the following Sunday's National Derny Championships at Herne Hill with victory in the men's short scratch race, while Rutherford took the points race ahead of Vojtech Blazejovsky. The Reading GP is promoted by Tricyclesports.co.uk, with generous support from AW Cycles, RaceWare Direct and Reading Velodrome Racing.